Maybe “sliding, slashing, shooting and *then* jumping to conclusions” is a better explanation. Platformers are everywhere these days, especially of the retro-aesthetic variety, but the majority focus on the traversal and puzzle solving side of things. Foregone, from developer Big Blue Bubble, aims for a more action- and battle-focused view. 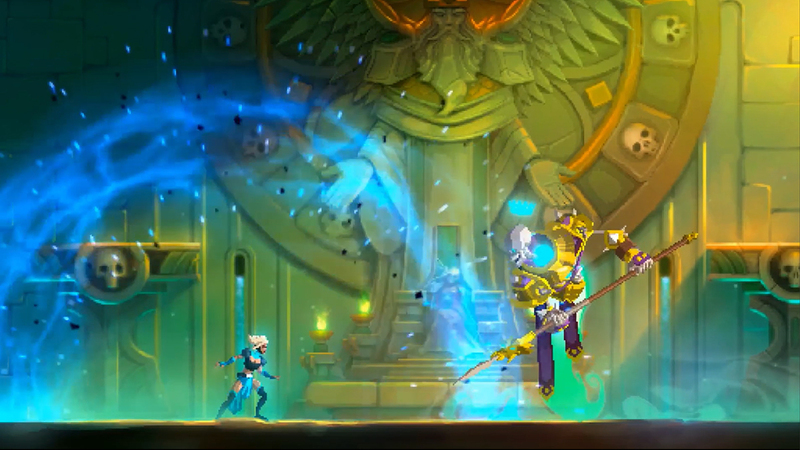 Though Big Blue Bubble have done console work in the past, the developer has earned their keep as of late in the mobile realm, developing for strategy and casual games. Going back to consoles is a passion project for the team, and they’re using all of their knowhow to get there. A demo at PAX East last month gave me a hint at what their plan is. The game focuses on making fights with enemies on the screen feel much more impactful. We don’t just jump on a brute to kill them, we have to utilize and balance our repertoire of weapons and skills to take them out. It’s not one-on-one battles a la Fury, but it’s not a quick second of action — it’s somewhere in the middle. 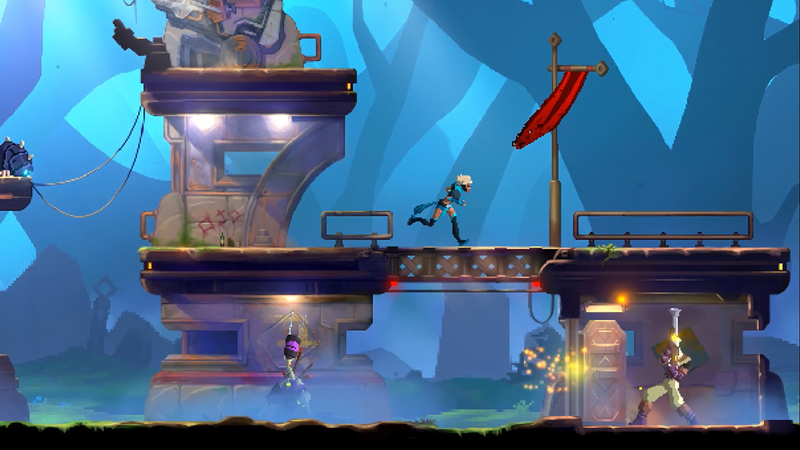 The demo level starts off our hero, the Arbiter, in a forest as she slashes and fights her way across. We hope onto platforms and cliffs, over pits, and take on enemies who seem to come after us instead of just pace back and forth in a pit. They’re not geniuses, but they’re also not drones. As we fight a skeleton-themed monster, we fire our ranged weapon to wear him down, then ground slide over and slash with our sword. The purpose of the demo is to get us to experience these battles, as well as take in the gorgeous visuals. One look at the style tells us that something is a little different than the traditional pixels we see in these kinds of games. Using proprietary software, the devs have made the animation far more fluid and three-dimensional than other games, and made 2D blocks look and feel much more physical. The short play session is enough to pique my interest, and leaves me curious as to how the game’s hook will play out over the full experience. Foregone is aiming to hit Early Access this year.